It comes to visit once a month. It brings with it unwanted gifts. Plus, it seems to know how to always show up at the most inopportune moments. What are we talking about? Every woman’s “favourite” friend: her period. Are you keeping track of your period? If you’re not, did you know that you should? There are a number of benefits that you can gain from tracking your period. Let’s take a look at a few of them. The best reason for tracking your period is to learn how to understand your patterns. Every woman’s cycle has different patterns that are unique to her. Some women are more predictable than others. But it doesn’t matter how predictable your period or your symptoms are. Understanding your pattern is helpful for several reasons. Tracking your period can give you a reasonable idea when you are, or will be ovulating. Knowing when you are ovulating is a great tool for when you are trying, or not trying, to get pregnant. Women who are regular enough can even use this a form of birth control. But proceed with caution, as you have to be disciplined for it to work well. Talk to your doctor about whether or not this birth control option will work for you. And please remember, this isn’t an exact science and your cycle can vary for a large number of reasons. Some women suffer from painful period symptoms, such as cramps. Knowing when you won’t be feeling your best is helpful. You can plan your most difficult projects for when you know you’ll feel up to doing them. Another benefit of tracking your period is that you can plan your workouts to coincide with when you have the most energy. You may find, as many women do, that exercise alleviates your symptoms. Armed with that knowledge, you can schedule workouts before symptoms set in. For many women, what they eat can ease or even erase some period symptoms. Anemia is common in many women during their period because of the loss of blood. When you track your period you will know when your usual anemic days are coming up. Eat lots of spinach, red meat and other foods that are rich in iron to counteract the effects. For some people with a very heavy and/or long period, iron loss can be a real problem. Consult with your doctor if you often feel lightheaded, dizzy, exhausted or lethargic. You might be low on iron and could consider taking supplements. Some people find that caffeine affects their symptoms. Tracking your period lets you know when those caffeine sensitive days are coming up. That way you can avoid caffeine at the right time. The rest of the time, you can enjoy your favorite coffee. Many women find that their cycle affects their libido. Many times it is predictable. Knowing when you’ll be in the mood is a great way to plan date nights with your sweetie. We promise that your significant other will be happy to have this information. One reason why you might want to track your fluid loss during your period is if your doctor asks you to. This is someone he/she might do if you have a very heavy period and some of the problems associated with that. However, it can be difficult to measure fluid loss with pads and tampons. You’ll probably replace these things before they’re 100% soaked through. 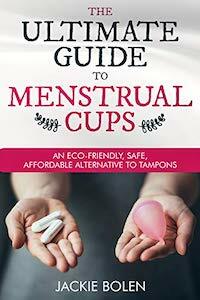 An easy way to track fluid loss is with a menstrual cup. Some of them, like the Diva Cup have lines on them so you can easily measure the fluid each time you remove your cup. Technology makes keeping track of your period easier than ever. There are several great period-tracking apps out there. You can download one onto your phone to have it on hand at all times. That makes it easy to input information when you think of it. You can even hook it up to your partner’s phone so they know what to watch out for. Did you find this information helpful? If you did, be sure to check out our blog page for lots more great period tips. Our whole purpose is to help women out with their periods!